Our gear units can be used flexibly. Be it for a specific customer solution or a standard application. Select your gear unit from a wide assortment. The right size, power, gear ratio, the right torque as well as design and surface. Tailored to your application requirements and to your area of application. What is a gear unit? How does a gear unit work? What types of gear unit are available? A gear unit is required to convert the torque and speed of an upstream electric motor so that they meet the technical drive requirements of an application. For that reason, the gear unit is the central component of a gearmotor..
Based on the design, size, and gear unit stages, a gear unit transforms the speed of a motor into steps up or steps down. The resulting speed ratio i between the input speed and output speed is therefore one of the most important characteristic values of a gear unit. How powerful a gear unit is and the loads that it can convey depends on its maximum torque, measured in the physical unit newton meters [Nm]. Gear units are distinguished by the type of force flow that they transmit. As a result, there are three basic designs: Parallel-shaft gear units, right-angle gear units, and planetary gear units. In parallel-shaft gear units and planetary gear units, the input and output shaft are positioned in one direction (on the same level). The power is therefore transmitted in a straight line. Parallel-shaft gear units are available in a helical gear unit or parallel-shaft helical gear unit mounting position. Planetary gear units are a special form. With them, the power transmission is coaxial. In this case, the speed and torque of the input shaft – the central sun gear – are transmitted to an external annulus gear (on the output side) and transformed by three or more rotating planet gears. Their special feature: The input shaft and output shaft move in the same direction throughout this process. 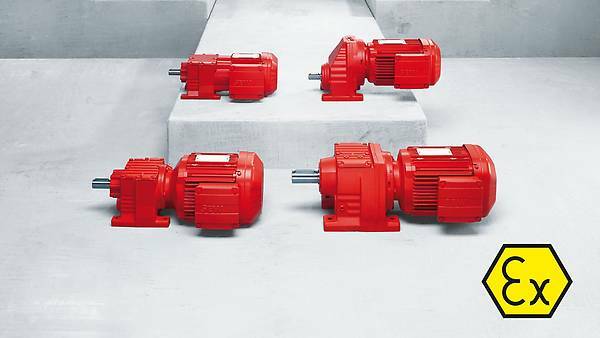 In combination with a servomotor planetary servo gearmotors provide particularly high dynamics and precision. In right-angle gear units, in contrast, the drive shaft and output shaft are perpendicular to each other – with the result that the flow of force there is diverted at a right angle. There are three established versions of right-angle gear units. They include helical-bevel gear units, helical-worm gear units, and, exclusively from SEW‑EURODRIVE, the SPIROPLAN® right-angle gear unit. With a portfolio including all of the conventional types of gear unit and a variety of different sizes, SEW‑EURODRIVE provides you with a comprehensive modular gear unit system. 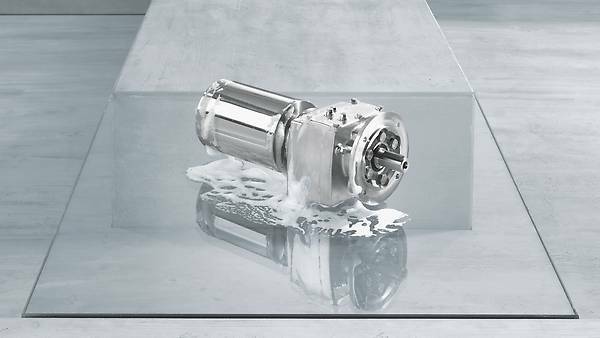 Combined with our modular motor system and other components, they provide millions of combination options. 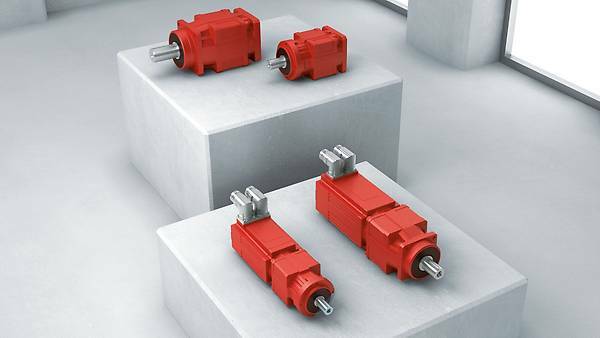 For practically every imaginable use case, you can therefore find a gearmotor that is perfectly tailored to your requirements, whether you choose one of our standard gear units, a servo gearmotor, a stainless steel gear unit, or an explosion-proof gear unit. In cleaning-intensive hygiene areas of the food and drinks industry, gear units often come into contact with aggressive acids and alkalines. Our stainless steel gear units are robust, durable, and low-maintenance and specially tailored to such applications. The high-quality stainless steel housing with surfaces optimized for cleaning make this gear unit resistant to chemicals and dirt. If plants and machines are exposed to environments with air and gas or air and dust mixtures due to the type of production involved, the strictest explosion protection regulations are applicable worldwide due to this hazard. Naturally, they also apply to the drive technology in question. 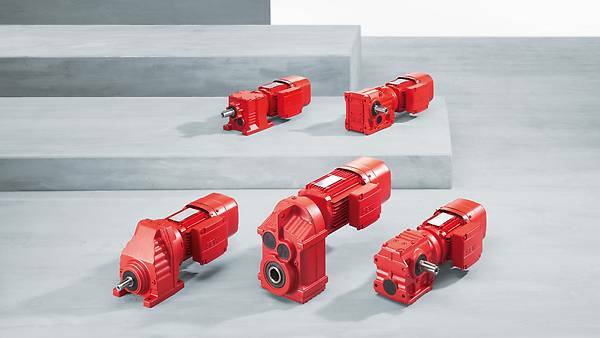 With that in mind, most of our standard gear units and servo gear units are available in an explosion-proof design – which conforms with the most important regulations and standards for the global market, from ATEX to IECEx to HazLoc-NA®.